Rafael Nadal sported a familiar new ’do at the U.S. Open—“the Roger.” The Daily Beast’s Gail Sheehy asks: Is he taking his rivalry with Federer to a higher level? Did the handsome young Spaniard need to feel younger, or more like a facsimile of his arch rival, Roger Federer, whose short curly haircut he looks to have aped? He hadn’t played at a major tournament since the end of May, when he dropped off the tour complaining of knee tendonitis. But how could a champion relinquish his hard-won Wimbledon title? What gnashing of teeth must have gone on while Nadal sat out Wimbledon at his island home on Majorca, doing nothing for six weeks, while Federer dazzled the world by grinding down Andy Roddick in five sets? No one on the circuit today can overshadow the gangly elegance of this Swiss supermodel in his black and red costume. XTRA INSIGHT:• Gallery: Gail Sheehey's U.S. Open Photo Diary• Check out The Daily Beast's latest U.S. Open photos and reports. Nadal admitted his confidence was sapped by his time at home nursing a nasty tendonitis. He played Wednesday without any tape and claimed he has no pain, so he doesn’t think about his injury. What he thinks about is apparent: Can he catch Roger the robot? Nadal acknowledged that his choice to play nonstop, every week, for five straight grueling years, had diminished his game. After “doing nothing” for six weeks, “I am more fresh,” he said. He bit his nails nervously. “Fresher than ever in this tournament. I don’t know if this kind of fresh is good,” he amended, meaning he can’t make any excuses about being tired. Gasquet did not smile once, on court or afterward in his press conference. The darling of France since his teen years, unique with his one-handed backhand—“I think one is more beautiful,” he says with the French reverence for style—he will forever be shadowed by the shame of being suspended by the ITF in March, when a blood test found a trace of cocaine. He was suspended for two years, and had to go to sleep every night thinking his tennis life could be over, before the ITA ultimately apologized and lifted the ban. It’s often noted that men rise fast and crash faster, while women keep on truckin’. Venus and Serena Williams look as if they will never burn out. Guided by father Richard not to confine themselves to tennis, Serena launched a book on Tuesday and spent the summer writing a screenplay with her 29-year-old elder sister. On Wednesday, Venus appeared in a hot pink zipper dress with her left leg heavily taped, admitting that when the pain in her knees was new, it was hard to adjust to it physically and mentally. And now? Venus keeps earning degrees and new languages, studying fashion and acting, reading books and dating a golfer; she’ll never wear out. Father Richard keeps telling the press he’s not happy that both his daughters have been injured, and he wishes they would retire from tennis. They have 18 wins in the majors between them, the most storied sister act in American sports in the last quarter-century. But who’s next? The 6-foot sisters, stars of the millennial generation, have overcome every one of the rivals among their peers, retiring Martina Hingis, Justine Henin, Lindsay Davenport, Jennifer Capriati, leaving no woman in their generation who can beat them. We have little hope of stars like them until the Obama generation grows out of the Juniors. Only two women under the age of 20 are among America’s top 10 players. A sweet 17-year-old Georgia peach, Melanie Oudin, finds herself astonished to be seeded right behind the Williams sisters. She wasn’t even among the top 60 in the world (No. 67), although after a nice win in the first round on Tuesday night, she’s on the cusp. The days when skill in ball placement and finesse could outgun power have long past. The Williams sisters have made Big Babe tennis the norm. Aspiring girls will want to be 6-foot pseudo-men whose sheer bulk can put away a lot of balls. My 9-year-old grandson, Declan Sheehy Moss, accompanied me and had his head turned around by his first U.S. Open. He started out all agog about seeing Nadal. He was surprised that in person Nadal looks almost diminutive as he dances around the court. Then Declan tried to capture Venus in the frame of our borrowed Olympus hand-held camera. No way. With a zoom lens that makes the subject 26 times larger, he couldn’t zoom out fast enough to catch her serve. 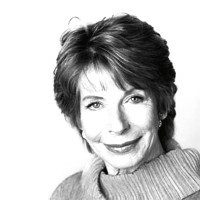 Gail Sheehy is an American writer and lecturer, most notable for her books on life and the lifecycle. She is also a contributor to Vanity Fair.